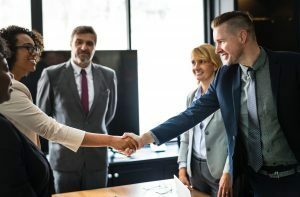 Four of the First Things to Do as a New HOA Board Member - Advanced Management Inc.
Are you new to your HOA board in Florida? Congratulations! You are taking on a worthy and valuable task by participating in your board. If you’ve been on an HOA board before, then you have a rough idea about how things will go. If you’ve never been on a board, though, there’s a lot to learn. Don’t worry, though! Here are the things you should start with when you’re a new board member. Even if you have been on an HOA board before, the one you’re on now may function differently than the previous one. Before you try to do too much, make sure you understand your role and the management plan that’s in place for your association. While you don’t have to know the articles of association well enough to know what is and is not within your power as a member of the board. If possible, sit down with your officers to get oriented. It’s easy to want to change everything when you become a new board member, especially if you haven’t been happy with the way things are going with your association. However, most associations do things a certain way for a reason. If you don’t do the hard work by reading the minutes and understanding what has gone on in the past, you may make new mistakes, make the same mistakes again, or anger residents by trying to change too much, too soon. Make sure you understand why things are the way they are even if you disagree with them. If something has gone wrong with the association in the past, it’s important that the current board tell the truth about mistakes that were made. When people acknowledge their faults and explain what they are doing to try and fix them, it goes a long way toward building trust between the association and its residents. Similarly, board members should be willing to talk about issues openly and honestly. Hiding things never makes anything better, and open discussion can help people feel like the board really hears their concerns and cares for them. As a new board member, it’s easy to want to take care of some big issues right away, so that people remember your name and want to keep you on the board. However, it’s important to think long-term. Whether you plan to live in the neighborhood for a long time or not, you want your HOA and the neighborhood it serves to be around for a long time. This means investing in the future in every way that you can. Making sure that there is enough money for years to come and that the structures are in place to help future boards invest and spend wisely may not help you make a name for yourself, but it will help your HOA survive and thrive.